The Crossover Universe: Crossover Covers: Return of the Originals: Battle for L.A.
Crossover Covers: Return of the Originals: Battle for L.A. 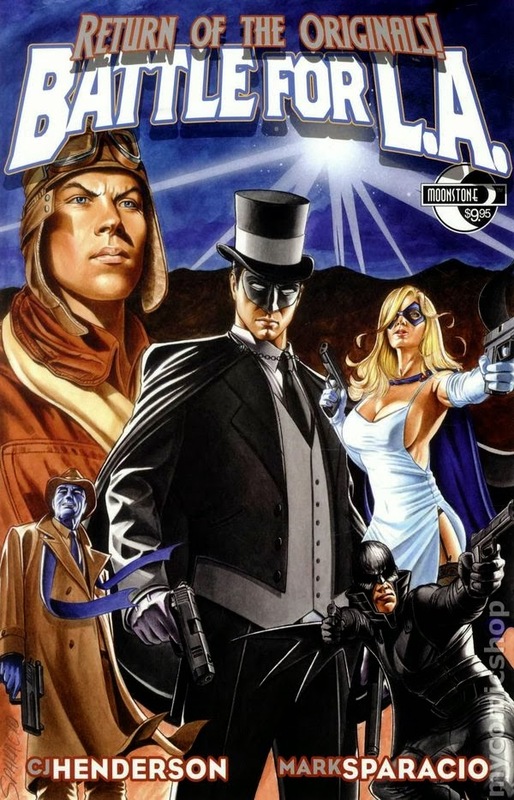 This graphic novel published by Moonstone Books featured four classic pulp heroes - G-8 (a Wold Newton Family member according to Farmer), the Phantom Detective, the Black Bat, and the Domino Lady - teaming up to foil an occult plot by Imperial Japanese forces who had already injured another hero from the pulps, Secret Agent X. The hardcover edition had a bonus text story depicting the Spider's (another Family member) encounter with one of the villains. Thanks, Henry! Your support is always appreciated!